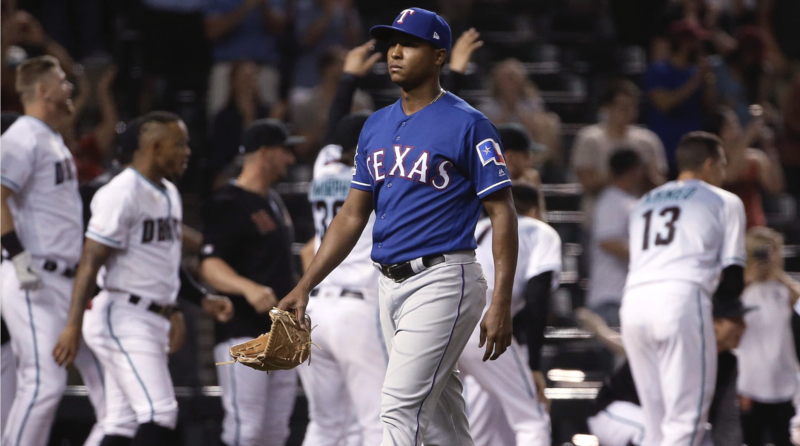 Home » Texas Rangers » When the plan doesn’t go as planned. Jose Leclerc walks off the field with a blown save and a loss, something he hadn’t experienced since July 25. The plan has always worked in the past. No reason to think it wouldn’t work again. 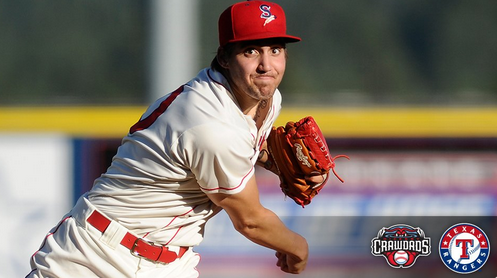 Jose Leclerc has been lights out as a closer. So far, this season, he’d thrown 4.1 scoreless innings. He had converted both save attempts (even earning a win in between), and his last fourteen save attempts spilling into last year. He hadn’t allowed a run in his last 25.1 innings. No reason to think he wouldn’t come in last night and add to those remarkable lights-out numbers. Leclerc’s dagger pitch is his slider. When the first two sliders he threw to the first batter he faced went wide, eyebrows raised a bit. He hadn’t pitched in five days, maybe he wasn’t as sharp as usual. The first batter singled. Okay, Leclerc isn’t a machine. Opponents do get on base off him. They just don’t score. Until the next hitter doubled, driving in the first run, making it 4-3. Then two batters later, the pinch hitter deposited one of those famous sliders over the wall in right field, and it was over. Jose Leclerc was immediately certified as human. It was a game the Rangers should have won. One they usually win. It’s the plan. Step One: Mike Minor would start. He would be good, as per usual, this time going seven innings—unheard of for this rotation—giving up just five hits and two runs. Step Two: The Rangers bullpen would hold the lead. That happened. Step Three: Jose Leclerc would close it out. That didn’t happen. Chris Woodward made all the right moves. It took him eleven games to realize sometimes that’s not enough, and sometimes there’s nothing you can do about it. Nice to see Minor throw well again. Looking for the same from Lynn today. I hope they get a chance to run Leclerc out there again this evening. I hope they get that chance too. Every closer has to deal with a blown save. What mattes is how they deal with it. Agreed, minor pitched a very good game. I also agree on the need to get LeClerc back on the horse that threw him. It’s especially important for a young closer. We might even see him in the 9th if the score is anywhere close. Just because. I might be overly optimistic, but I foresee the same from Lynn for 5 or 6 innings. Meanwhile, down on the farm there was an interesting match up in RR. Taylor Hearn was pitching against the Astros #9 in all of baseball (by at least one ranker) Forest Whitley. Hearn gave up the lone Express run in the fifth, while Whitley coughed up two of the three Nash runs, one in the second and one in the third. Nash scored again in the ninth to give Hearn, and the sounds, a nice 3-1 win over one of the highest rated prospects in baseball and the RR Express. Roger that. I was following on game day after you mentioned it last evening. Unless JD signs an arm or two, Hearn will be here before you know it. Way, way down on the farm Hans Crouse was also shoving. HFC is a nick name hung on him by an opposing scout. Nobody needs to know what it stands for. HFC has made developing the CH a key for this season. If he can make it a big league average pitch, you’re free to dream of a front-line fella. I had to look. Don’t worry, that song will NEVER get stuck in my head. I need to explain what’s going on. This is the second game of a double header scheduled for yesterday. The first game went extra innings so rather than play game two last night they are playing it this morning. JPM is J.P. Martinez CF. 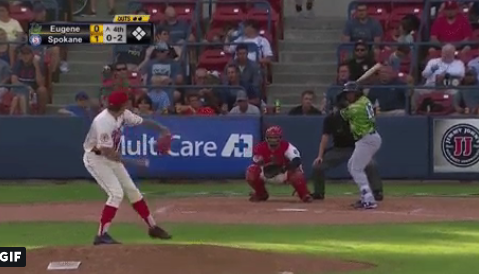 Crouse evidently hit his pitch limit which in the lower minors is a hard limit. Hans Crouse is done. 5 IP, 1 H, 0 R, 0 BB, 9 SO, 67 pitches, 45 strikes (19 swinging). Hickory leads 3-0. So the pitcher who has the impressive line is HFC? Hickory is Class A, right? They do refer to fresh water lobsters the right way: craw dads, instead of the wimpy cray fish. They are not fish. Some of them have to be dads. Yes, one of the pitchers with an impressive outing was HFC in Hickory. I say one of because there were another one today. Tyler Phillips. Who also was the on the front end of a shut out. Craw Dads it is. That’s the way I always thought it was. I thought cray fish was some New York thing. I knew it had to happen, but this team badly needed a win and had one that followed a perfect script…until the man who shuts the door gives up a big lead culminating with a 2 run homer to a guy that hits 1 or 2 a year, if am not mistaken. If it had been a Trout, or even a Perch or a Bass, I would be able to accept it more easily. This was lack of concentration, or it wasn’t his night. Yes, he needs to get back out there ASAP. The team was 5-2, which we knew would not last. But suddenly they’ve quit scoring. 4 straight losses against bad teams is not a good thing. I guess I can stop thinking about a winning record. Minor is good. Lynn might be. Nobody else is can keep us in a game for 5 innings. Not good. How is Seattle 11-2? THEY are rebuilding. THEY should be 2-11. Baseball is hard to understand at times, but the 162 game regular season has a way of exposing frauds and letting the cream rise to the top. That’s what MLB has over all other major sports. And until about 1970 or so, there were just two teams in the post-season–brutally real stuff. In a way, I’d like to see it that way now, but the play-offs are too much fun. I am totally opposed to allowing any more teams in, though. The second WC was fine, for it makes the other WC work harder. It still burns me when I think of a crappy Card team that sneaks in as a WC on last day and gets the same rights as a DC…and then gets hot and goes through the playoffs and wins a WS that should belong to the best team in 2011–TEXAS. All of our photographers must have been at the basketball game last night instead of the baseball game because I can find no pics from yesterday’s game. Have a good day anyway! Maybe we can win tonight! I couldn’t find any either. I grabbed this just to keep me occupied. It’s take off from that. The author was looking for a name for the site and liked the Island or Moreau but needed to change something up. Being as how it’s baseball oriented he seized on Justin Morneau’s last name and the site became “Island of Dr. Morneau.” I don’t think it’s any trade secret or anything so I’ll just blow his cover (it’s pretty common knowledge) it’s Levy Weaver aka threetwoeephus. The guys been making those photoshops for quite some time. He has a weird sense of humor. I love reading his stuff. Well it only took 11 games to find our rightful place…..The cellar. 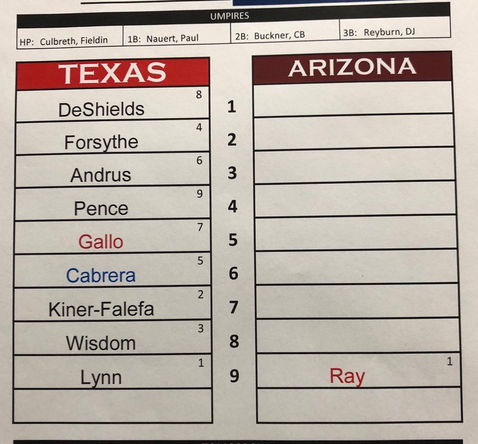 Once April concludes, my wish is to turn it on full mode of getting some answers….some of the pitchers, certainly Calhoun..etc Gotta bite the bullet and figure some of this stuff out. Baseball America’s minor league pitcher with best control. Needs to trim his salad. Hearn gave up one in the fifth. Whitley gave up one in the second and one in the third. Express replacement gave up another in the 9th, a HR to Calhoun, his first. Maybe he’s turned it around. His BA is north of .200 now. His bigger problem is Gallo in LF and Choo as DH. I DeShields goes down, either performance wise or physically, they’ll just call up Granite or Tocci who has been playing well. Final 3-1 Sounds. I found one site where he’s rated 6 in all of baseball. 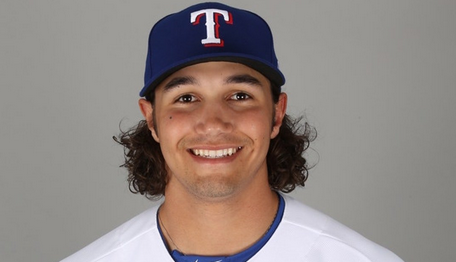 The Astro’s have a good looking bunch of prospects. I’m not as high on Hearn as some. I like him, but not in swoon mode. I’m probably alone in this, but I don’t put a lot of faith in those ratings. They vary too much from one site to another and are usually based on data from a six months, to more likely a year back, which is shaky when dealing with minor league players, especially at the lower levels. Too many players come out of nowhere because they were missed for one reason or another. A lot of guys that have never been rated by anybody end up making an impact in the majors. Example IKF, very few ever heard of him before he got called up. It’s not really the fault of the raters, they can only afford to have so many scouts, they do the best they can with what they have. They are a good starting place, but shouldn’t be depended on for any final analysis. A perfect example is Hans Crouse. Nobody, not anybody, paid any attention to him at all until he hit Hickory. Almost nobody even knew he existed when he was dominating at Spokane. Unfortunately, that’s the way the Minors roll. #6 means behind players as well…..Right?? Yes, #6 player in baseball. Catcher, out fielders, in fielders included. Totally different line up tonight. What happened to TD’s lineup? I’ve been a fan of minor league baseball for a long time. I don’t ever remember, ever, make that never ever, or maybe just never or ever, remember such dominance from a single system top to bottom as I’ve seen from the bunch the Ranger’s threw out there last night and this morning. From the top of the system to the bottom they dominated. Not just pitched good enough to win, but dominated. It was a weird thing to see. If they weren’t throwing zeros, it was soft grounders or soft flies. It will probably never happen again, but was a joy while it lasted. RR tied it up in the bottom 3rd. Corpus Christi and Frisco top of the 3rd Frisco leads 2-1. Something to chew on…..Judge a more prolific HR hitter than Trout…..has received no Intentional walks. Stros attack him and he has 1 hit in a 3 game series……Altuve a better hitter than Trout has hit 4 HRs in a 3 game series…..no Intentional walks either…….more lessons in you can’t play the game with fear!! True. If you remember Sampson went after Trout and got him. You have to hit your spots and he can be had. Not every time, but more often than not. THEN it makes good sense to pitch around him and give your team a better chance to win. Judge doesn’t qualify in this scenario, because he is one of a number of reliable threats in that lineup. Altuve doesn’t qualify for the same reason. 7 strikeouts in 12 batters. It’s a process. It’s a process. Rangers can’t give them too many runs with their offense. Nats 15 Phillies 0 in the bottom of the 9th. I think I’m going with the Nats winning. It’s always good to see the Yankees lose. If not this one, a game in the future. Yep, you can’t sugar coat that. It’s bad. It’s possible that even I could have swung the bat faster than that. Just booked my next cruise…….if you gotta minute, you should ck out the lineuup…Justin Hayward, lead singer of the Moody Blues, Art Garfunkel, Al Stewart, Dave Mason, Alan Parsons project,,,,among others!!!! Al Stewart. Year of the Cat. Love that song and that album. That’s on the same album, I think. Just looked it up. It’s not on Year of the Cat album. I was thinking of Lord Grenville. On the Border is another great song from that LP. Yepper….On the border is great…..
Dave Mason is someone I haven’t thought about for a long time. But he had some great songs. We Just Disagree. Only You Know and I Know. Think he played in a group….maybe Buffalo Springfield or Hollies??? No, I was wrong. Just going off memory. I just looked it up. It was Traffic. Wait, I was right, sort of. He was a founding member of Traffic, but he joined Fleetwood Mac in 1995, after their heyday. The guy I was thinking of was Bob Welsh. Yeah he had a bunch of good single tunes…. That was foul for sure. That’s when you need instant replay. 4 pick offs in a row. Do you think they are concerned with DD stealing? Come on. We have to score in this situation. That’s hilarious. But how can you taste anything other than armpit if it smells like that? It comes with years of practice in overcoming stinkyness. Their headquarters is in Kentucky. They have a museum there too, I think. I’ve been to their headquarters several times because my husband worked for KFC and had to go there for different things. There are more in Kentucky than anywhere else, I believe. It’s always hilarious when they make it obvious how afraid they are of the runner that they make a situation worse. Wait, not yet. That was a ground-rule double. Shoot. KC has the winning run on 2nd(Tying on 3rd) but 2 outs with bases loaded. the inning is on mlb network. Mariners pull it off now 12-2. If the Rangers don’t make it I hope Seattle wins it all so Ichiro can get a ring. Yeah everyone was writing them off as not trying before the season started. I certainly did. It might be the first time ever I was wrong. I see a lot of Ground Rule Doubles at Chase. Two that hit that weird jutting fence. Oh, that was hard to see. The Down side of Bases Loaded. And with that Lynn lasts longer than Ray. Banny’s having a heart attack watching this. If he had allowed a run there the media would have made a big fuss that it was because he threw too many pitches, even though that wouldn’t have been the reason. So I’m glad it didn’t happen. Oddly, I don’t remember the media ever making a fuss over Banny’s ridiculous obsession with yanking starters at 100 or less no matter what, even though the bullpen cost them a lot of games. Yup, big night for DD. And now if they can hold the lead Lynn can get the win, so letting him throw over 100 pitches would pay off. Not sure this BP can hold the lead though. It’s a good thing it didn’t hit any little kids in that hot tub.. ……it’s really weird that they have a hot tub and pool out there! I wonder how much they charge for you to be one of only about ten people in the pool or hot tub? I want a pool at the new park. From their website: Based on which game one chooses to attend, $4,750 to $7,000 will buy you 35 tickets with access to the pool, hot tub and private patio, five parking passes, a basic complimentary food and beverage package (no alcohol) and a few additional amenities. Ha, I just posted that. I guess you really get the royal treatment when you pay for that package. Here is some info on the cost of their pool. I’d stick with the Lazy River at Dr. Pepper Ballpark on a minor league budget! He was safe! No ifs, ands, or buts about it! I wonder if IKF’s obvious confidence helped sway the umps in NY. Couldn’t have hurt so it was a good ploy if that’s what it was. Either way, I really like him. I think he plays smart baseball. Being picked off from second base is the most dangerous move for a base runner! Yay! We’re on a roll now! A well-deserved insurance run by Rougie! Is this it? Will our suffering come to an end? I can hear in it the background! Dave and CJ are talking about him! There’s a girl too. They are pretty annoying. I’m surprised the Rangers got to Greinke last night before letting one get away in the last couple of innings. What happened to Zack? I’m not sure. I wasn’t really watching until later in the game. Pence shouldn’t have taken that cut out the zone for a surefire ball 3! Come on Joey! Get a good hit! Leclerc coming out of the bullpen to wrap things up! Time to atone yourself from the disaster of last night, man! Oh no! Is something wrong with Leclerc ? Probably lost a little confidence after last night. I’m glad they made it 5-1 instead of 3-1. Ninth inning drama. My least favorite kind. Leclerc’s nemesis at the plate. I get knocked down, but I get up again, No you’re never gonna keep me down. Wow, he’s removing Leclerc. That’s a dagger in his confidence. True but losing the game would be a bigger dagger. I don’t question the move at all. That’s the end of Leclerc the closer. I bet he will be on the DL tomorrow…..or whatever they are calling it now. I’m not thrilled to see Bird but I guess he’s the best option. He can also be wild and doesn’t have an overpowering fastball. Leclerc will not be an effective closer again until he’s given another inning to rebuild confidence. Maybe if he faces a different team he won’t be as spooked. What a horrible swing. Thanks. Come through for us Bird….pretty please? He really helped the Rangers by swinging at balls. Rangers did it all night, may as well get them to return the favor. Right. He threw six pitches. Five out of the strike zone. If that goes down the line the game is tied. Right, an inch further and it’s tied. Or if Logan Forsythe had had time to think and realize he’s not a good first baseman. Ballgame! Good job, Forsythe! You saved the game from being tied with a snag like that! I hope Leclerc isn’t getting a case of the yips! It doesn’t make any sense how he can be so great one day, and have absolutely no command the next….unless maybe he is injured somehow. I’m hearing on the postgame show he didn’t pitch at all in the Angels series hence he might have been rusty. That might be a good reason. Every team in the AL West is .500 or above. I’m giving tonight’s game ball to Logan Forsythe for his role in the ninth inning tonight, offensively and defensively! Going into the off day with a win is much nicer than going into it with a loss. A nice way to wrap up a sports night in the DFW area! The Rangers salvage the finale of a rocky road trip in highlight-reel fashion! Dirk Nowitzki plays his final NBA game which ends an illustrious 21-season career with one NBA championship, all with the Dallas Mavericks! The Dallas Stars beat the Nashville Predators this evening to take a 1-0 series lead in first round of the Stanley Cup playoffs and don’t play again until Saturday evening! 2012 Rangers – Lost ALWC Game. ← The future is always bright.